On Tuesday (April 8 2013) I flew down to Air Flite at Long Beach and took a FAA Safety Team seminar “The Twenty-five Biggest Mistakes Pilots Make.” It was put on by the Pilot Safety Institute, and the speaker was Gary Reeves, a CFII with all sorts of accomplishments (top ten percent of CFIs in the United States, top five in the state or some such). Thousands of hours of flying time and a real commitment to trying to make General Aviation safer by trying to teach pilots not to make the most common mistakes. I would argue, now that I have gone through the list, that twenty-five is probably not a real number, just one that Gary plucked out of the air because it sounded good. I would group a bunch of these together. I am also not convinced there was a rigorous method for selecting these twenty-five, so I am not sure that it is really “the twenty-five biggest…” But it is the twenty-five (or so) which most bother Gary as an instructor, pilot and observer of aviation culture. 1. Not getting a full weather brief before every flight. Nope, I use Foreflight and it is foolishly easy to get a briefing even for the flight up to Camarillo for lunch (a little twenty minute hop). So I always do. 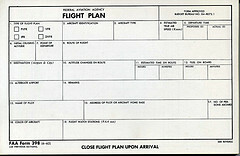 I imagine in the days where I had to call in and talk to a briefer on the phone, explain my route of flight and so forth that there were some short flights I took without a full briefing, but Southern California weather influenced that a lot (always sunny, 72 degrees, not a cloud in the sky). I cannot imagine flying to an unfamiliar airport without a full briefing. When we are traversing the country, I look at all sorts of details about our destination airport (and a few of the alternate airports around it). I’m looking at the weather, the weather patterns in the days leading up to the flight, the FBOs that people like on the field, the taxi diagrams, and the instrument arrivals and approaches. I have even looked up accidents at the airport to see what the most common “gotchas” are for landing and taking off there. That caused me to plan my arrival and departure at Sedona very carefully. A surprising number of pilots took off from there and flew directly into the cliffs to the south. 2. Rushing through a pre-flight inspection. If I fly somewhere to pick someone up or drop someone off, I do not do another pre-flight while I am on the ground. I am not sure where most pilots sit on that question. I have, if I am on the ground for a little while, checked the oil again, even though I have enough sensors that it shouldn’t be a problem. I figure since I’m standing around anyway I might as well take a peek at the dipstick. I have oil paranoia issues. 3. Doing an incomplete run up or skipping it entirely. Never. Okay, once. When I did this flight to Sonoma Valley I didn’t really do a rolling run up. I was SO hot and sweaty and my eyes were stinging from the sweat dripping into them, I just wanted to get into the air where the vents would start to cool me down. We took off without me doing more than checking that the gauges were green and the alternator was generating amps. I didn’t realize it until we were at cruise and I had cooled down, I got goosebumps thinking of possible consequences and I have never done it again. My initial flight instructor used to do a “rolling run up” any time we were short for time. I suppose you could argue that I was the pilot-flying and he didn’t need to pay attention to taxiing the plane, so running the RPMs up and checking the magnetos was probably not too difficult for him. In one instance: taxiing from my tie-down over to the run up area, I may twiddle a few knobs or talk to the controller unnecessarily, but not if there are any other planes around. I am not a pilot who will go “head down” while taxiing. The Diamondstar doesn’t have a steerable nose wheel, it’s differential braking, so we wander off the centerline too easily for me to shift me attention to something else. So, no, not something I will do. I am not sure why this is prohibited though, since multi-tasking is what pilots do in every other phase of flight. We are taught over and over to “be ahead of the airplane.” That’s how you can hold an altitude, hold a heading, tune the radio to a different frequency and check the cylinder head temperatures. So I can multi-task at 10,500 feet, but not at 0 AGL? 5. Not using a checklist every time. For a flow, you map the checklist onto the physical plane. In my case, for instance, for the startup of the plane you touch everything on the instrument panel in a clockwise pattern starting at the top center. If you do that, you do everything on the checklist without looking back and forth from a list to the instruments. I believe it is superior (having done both and watched both). So, I use a checklist every time because I have mapped it onto a cockpit flow. Or I never use a checklist. I am not sure which you want to say. 6. Not filing a VFR flight plan. This is the one that will change the way I fly. At least with passengers on board and certainly for the longer trips. Part of it is that technology has changed things since I learned to fly a mere eight years ago. Filing a flight plan used to be a bit of bother. You had to call up a flight specialist at 800-WX-BRIEF (now run by Lockheed Martin) and read off the items on their form in order. Then once in the air you would call into a radio installation of Flight Service and they would “activate” the flight plan. Once back on the ground, you would call Flight Service back and they would close it. The general idea is that someone knew where you were coming from, going to, and your general route of flight. They knew what the plane looked like, who to call if you went missing, and how much fuel you had on board. If you were headed to Vegas and had four hours of fuel on board they would wait four hours before they started looking, and as of today they first call your cell phone to make sure you didn’t forget to close the flight plan (a common oversight). I have only filed three or four VFR flight plans ever. A couple are required during training, particularly on your solo cross country flight. But since I always have flight following (which means ATC knows just where I am), it seems like overkill to have a timer somewhere counting down to when they launch a search and rescue effort for me. And Gary said this: “What about when you are flying into Big Bear, and SoCal lets you go twenty miles away from the airport with their cheerful, ‘Squawk VFR, switch to advisory frequency,’ what happens if two minutes after that you have an engine failure and disappear into one of those canyons? Who knows to look for you?” And that’s a good point. More importantly, it looks like Foreflight is going to step into this problem and make it really easy to file, activate and close your VFR flight plans. Well, they did the first part of that already, but if I can activate it while I am sitting in the run-up waiting for my oil to warm up and then close it while I am shutting everything down at the other end I can’t really think of why I wouldn’t file a flight plan for every flight. We’ll see how it works out in the coming months. Apparently Foreflight will ping your iPhone to remind you to close it. Wonders will never cease. 7. Not using flight following. Never. I can’t understand flying more than fifteen minutes and not talking to someone. It just seems like the way to go. Your tax dollars already pay for the service, why not use it? You learned to talk to them, keep practicing. Here in Santa Monica two Cessna flying between here and Camarillo collided midair. One was filled with flight instructors from American Flyers and they landed their disabled plane on a golf course. The other plane with the owner and a passenger plummeted to earth killing them both. Neither was talking to Air Traffic Control. It was overcast so they were both scud running (flying along beneath the clouds), which meant they were sharing an altitude. I always talk to someone. 8. Mountain flying without take a Mountain Flying course. I should take a mountain flying course. I have read a lot about it. I have experienced downdrafts that were too powerful for our little plane to out climb and I handled it fine. I have felt mountain waves and the turbulence produced by heavy winds across the peaks. I have taken off from Denver, Jackson Hole, Heber City, and Colorado Springs, all high-altitude airports in the mountains. I understand the loss of performance and the things to be wary of. Even on the first airport-hopping trip that Adam and I took we climbed out of Big Bear and noted the reduced performance of the little Piper we were flying. But there is always more to learn and I’d like to take a real course sometime. The speaker’s feeling is that instrument pilots in particular get this clearance for getting into and out of airports that have fallen below VFR minimums and it puts them at great risk. Student pilots are not allowed to accept a Special VFR clearance, and if it is too much risk for them, why are other pilots doing it? Because we understand what the additional risks are and we mitigate them. I have, probably, accepted fewer than one per year. One of the first was when Adam and I rented a DA20 in Torrance and had to wait for the marine layer to dissipate to Special VFR before we departed. What did it really mean? We took off when the the ceiling over the airport wasn’t high enough for VFR pattern work, flew inland just a few miles, and came up through a wide hole in the layer to skim along the tops of those clouds in the sun. I would say nearly zero additional risk (I guess we were a little closer to the ground for a little longer than usual). Just last night, arriving from Las Vegas, the weather changed suddenly from what was forecast and a think marine layer started blowing in from the ocean and slipping over the airport at six hundred feet about the runway. But I could see, from Beverly Hills, the entire airport, the airport environment, and the runway end-to-end. It happened that the clouds were over the tower and the weather reporting equipment, so SoCal told me that “your field has dropped below VFR minimums, what are your intentions?” “I intend to get some dinner soon.” Actually, I said I’d talk the tower into giving me a Special VFR clearance and I would land as usual. I was chasing a Cirrus on the instrument approach to the field (I like to follow the approach if it is after sunset), and it wasn’t the slightest issue. 10. Not using enough rudder. The instructor’s point is that the stall-spin accidents in the pattern are because pilots go skidding and slipping through their turns since they haven’t learned to fly in a little tail dragger. Modern airplanes, even Cessna 172s based on decades-old drawings, don’t really require a lot of rudder work. So pilots get lazy, stop using much rudder at all, and when they get slow in the pattern, stall the plane for a moment, they are instantly in a stall-spin which is nearly impossible to recover from when you are close to the ground. Not guilty. And I am preparing to continue my tailwheel training and this time I won’t stop until I get the endorsement. 11. Handheld GPS users, getting too close to airspace. This was a long discussion about how the GPS in our plane is probably more accurate than the radar that the air traffic controllers are watching. More importantly, apparently they are now using computers to send out violation letters so if you skim the airspace it might decide you are in violation, send a letter and you are suspended for ninety days. the instructor suggested having a two mile buffer between you and airspace that you are trying to stay out of. I think I probably do that most of the time anyway. More importantly, I have a recorded track of my flight at all times, so I would have something to show the FAA. And I am talking to ATC, usually getting a clearance into Class B or confirming that I will remain out of it. So a non-issue for me. 12. Not having a taxi diagram out while taxiing. It is right there on the G1000 screen and on my iPad. So I always have one out. I also have a plan of the airport in my head and understand the taxiway naming scheme pretty well. If I don’t know where I am then I stop immediately. The sort of risks the instructor was talking about are not something I am participating in. 13. Briefing an IFR approach while flying. The instructor said you should brief the approach before you get in the plane. All the approaches to your destination and to your alternate airport and other airports in the area. And you should have them printed out even if you have them on your iPad. This is one of those cases where the amount of preparation for a simple flight becomes so onerous that most instrument-rated pilots would not get in the plane. When I am headed to an airport where I might have to perform an instrument approach I have the approach on my iPad and in my iPhone. I do not have a print out. If my iPad and my iPhone go south on me that is a catastrophic event and I will be diverting to the nearest VFR airport. (Per regulations, you only need to have a written description of the approach in the plane to legally fly the approach and land. For a while I could draw the entire approach into SMO on a slip of paper from memory, so at least I could get home.) Having dozens of little sheets floating around the cockpit is unhelpful and probably a distraction. Or you are going to add the task of organizing all of your paper slips to the other tasks you are meant to be performing. It’s possible this is great advice for pilots flying professionally. Maybe when you are flying dozens of approaches each week this is a good idea. I could not find the utility or safety in it myself. “Be familiar with the information related to the flight” is the phrase from the regulations that I keep in mind. The difference between “familiar” and “brief two dozen approaches before you leave the house” is too large for me. 14. Planning an IFR alternative too close to your destination. I understand this and I don’t do it. Flying up to the Bay area, I plan to land at Oakland. The one time Oakland was too fogged in for me to land, I flew on to Concord, which is far enough away, and over some topography, so the weather at Oakland is different from the weather at Concord. I guess some people file SFO as an alternate to OAK, and if one is fogged in the other is a good bet. But I feel like this is old advice, or advice that doesn’t take into account the technology we fly with now. The day I was flying into Oakland I knew the problem by the time I was nearing Salinas, I had checked the METAR at KOAK on the G1000 and saw that it was fog with a sixty foot ceiling (it was forecast to be VFR). Without bothering the controllers I poked around a little on the moving map and saw that Concord (KCCB) was still VFR. I didn’t even need an instrument clearance to get in there. 15. Canceling IFR in flight for a visual approach. This is related to the lack of VFR flight plans followed. That is, if you are flying into an airfield without a tower and you cancel IFR before you land, who is watching you if something goes wrong? If you wait until you are on the ground to cancel, then if something happens to you before you make it to a nice landing, the airspace is closed to other flights and ATC has an incentive to find out what kept you from canceling. There was also some discussion about using vertical guidance at night into strange (and even familiar) airports, but I already load up the instrument approach into airports I am unfamiliar with, even in broad daylight. 16. Over-correcting on IFR approaches (chasing the needle). This never cropped up during my instrument training. Maybe the instruments in the Diamondstar preclude it from starting, but it’s just not what I find being a problem on an approach. Hand-flown, the DA40 sails right along the radio beam to the airport. My problem is more to do with managing the speed, at least on the approach into our home airport. SoCal controllers keep us high as we cross over Burbank’s airspace and then we need to drop fast to get down to the altitudes over Beverly Hills and Culver City. Speed brakes would probably help. 17. Not understanding installed technology. The CFII mentioned that he’d been in a number of planes with pilots who still had the manual for their GPS unit in the shrink wrap. That’s not me. I read my G1000 manual all the way through, then bought the Max Trescott’s book on the G1000, and then I watched the Flying Like the Pros videos about using the G1000 as an instrument pilot… I found it all fascinating. When a software update adds a new feature I jump in to take a look at it. Part of it is my love of technology overlapping with my love of aviation, so it all drives a desire to understand more. 18. Using your tail number to describe your position in non-towered areas. Gary claimed that this was a dangerous practice in places where you were announcing your position to other traffic. The tail number was meaningless and instead you should say, “White Diamondstar entering the left downwind for two-one.” I disagree because frequencies are recorded and I like my plane to be noted somewhere in case something happens. I do say the type and anyone who knows what a Diamondstar is knows that they are white. If they are unfamiliar with the plane type I don’t know how color is going to help them much. 19. Talking on the radio before you’re ready. 20. Talking too fast on the radio. 21. Saying too much on the radio. Essentially, the instructor was claiming that these four separate sins were each an individual mistake that pilots were making. I believe they all fall under “be able to do good radio work.” Philip Greenspun helped me a lot with this one because we took one short flight (up around Camarillo and back) and he said, “The better you are on the radio, the better service you will get from the controllers.” So I listen really closely now to the professional pilots on frequency and I try hard to do everything as concisely, clearly, and directly as possible. He was totally right and the service I get from controllers is phenomenal. Here is a tiny thing that I started correcting recently: “Diamondstar niner seven one romeo delta three thousand seven hundred climbing seven thousand five hundred.” I used to say ‘climbing to’ and then read about an accident where that ‘to’ was interpreted as ‘two’ and a bunch of people died in the resulting crash. So tiny improvements cut real risk. A couple of the more important things: When you call in the first time say the call sign slowly. They are scribbling it down. Get position and altitude in the first call you make, so they can find you on their screen and, if you can keep it terse, include your request. Avoid all of the casual radio terminology you hear: “with you,” “got ‘im on the fish finder,” “on the hurry-up…” It doesn’t help the controller at all and what you are looking for is to help her as much as possible so that she doesn’t mind giving you more than the minimum level of service. (VFR flight following, which is what I am most often calling in for, is not guaranteed. If you are fumbling on the radio, chattering away unnecessarily, unsure of what you want, then the controller will say, “One romeo delta, I’m too busy, unable.”) Most importantly, the thing I would drill into pilots if I were an instructor, is to *listen first* when you tune in to a frequency. I fly all the time with pilots who push the button to swap to a new frequency and immediately push-to-talk and announce themselves. There is no hurry to check in and you’ll learn a lot by listening for a minute or two. 23. Not monitoring 121.5 while flying. I had no idea this was a regulation. It was never mentioned during my private pilot training, my instrument training, or my multi-engine training. I did, for a while, use a method that Jeffrey Moss suggested in “Flying Like the Pros,” which was to put the next frequency (the departure controller) into Com2 on takeoff. In the swap position on Com2 was the emergency frequency. If while taking off or in the critical phase of flight (climbing, running checklists, switching to departure’s frequency) you lost Com1 somehow, it was simple to click over to Com2 and still have everything dialed in. Once I was comfortable that Com1 wasn’t going to fail, I’d swap Com2 and monitor 121.5. I should start doing that again. Gary said that there were quite a few times that he was the first person to report a transponder (the emergency transmitter a crashed airplane triggers, which transmits on 121.5). 24. Not asking for help until it is too late. Not guilty. The couple times that I have had a problem (electrical system failure, alternator failure, icing and more icing) I haven’t had the slightest hesitation in telling ATC that I needed help immediately. 25. Doing a Biennial Flight Review (BFR). The speaker pointed out that the FAA minimum for staying current to fly a plane is one hour of flight with an instructor every two years. You could spend twenty years doing that and it would be legal to climb back in a plane, do three takeoffs and landings and load up some passengers for a long cross country. That seems crazy (both the regulation and the idea of loading up passengers under those conditions). I do my reviews once a year and wrote up this one. Getting my multi-engine rating was apparently one of the best things I could do to reduce my overall risk in the plane. Additional training and ratings put you on the reverse of the curve of decreasing safety. This entry was posted in Training and tagged safety. Bookmark the permalink.